How to wear your unique hand made and painted Devore Velvet Ruana. The variety of ways to wear your Ruana is limited only by your imagination & your propensity for style. 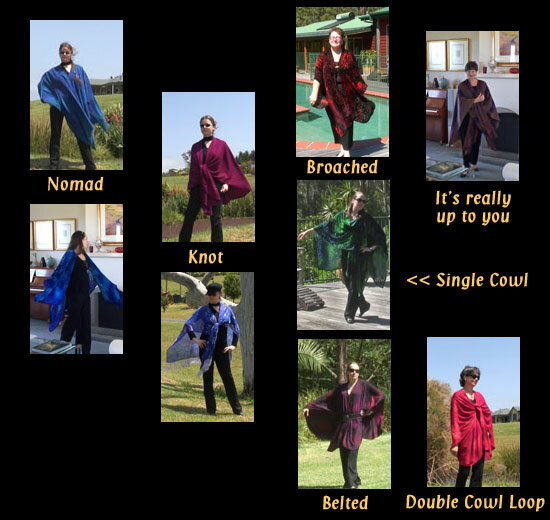 We show you quite a few variations here using both the woollen & devore velvet Ruanas, though we know in your hands the creativity will be limitless.